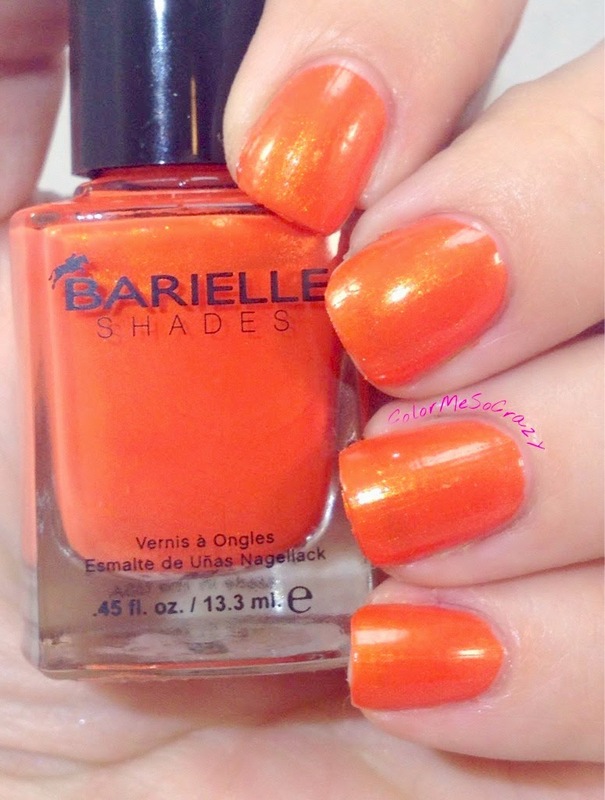 Barielle says, "The Keys Collection celebrates the warm, sun-filled, tropical beach days enjoyed all over the world. 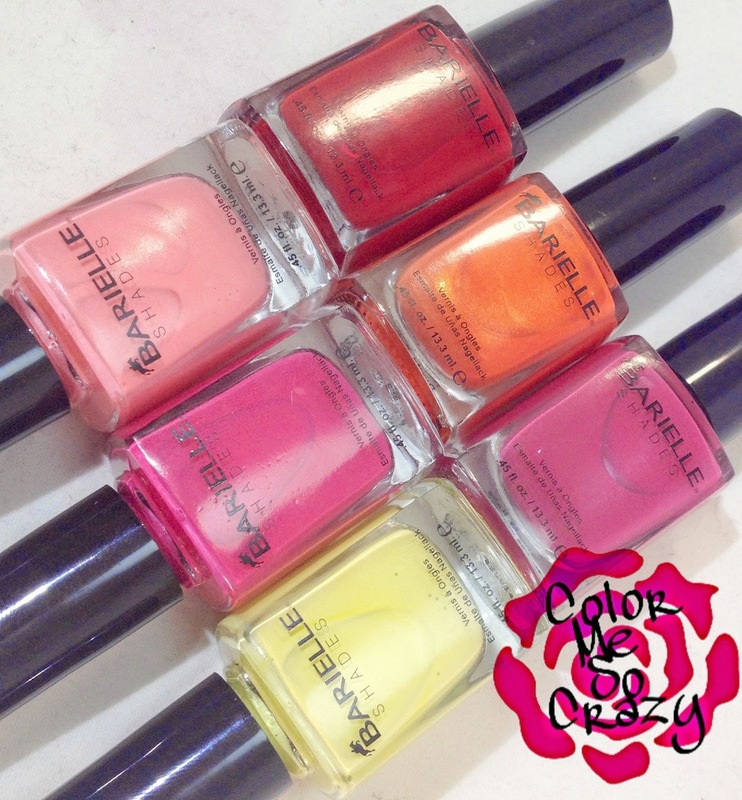 These beautiful, creamy, high-fashion colors set the mood for paradise vacations." This collection really reminds me of a Miami circa late 1970s to 1980s. 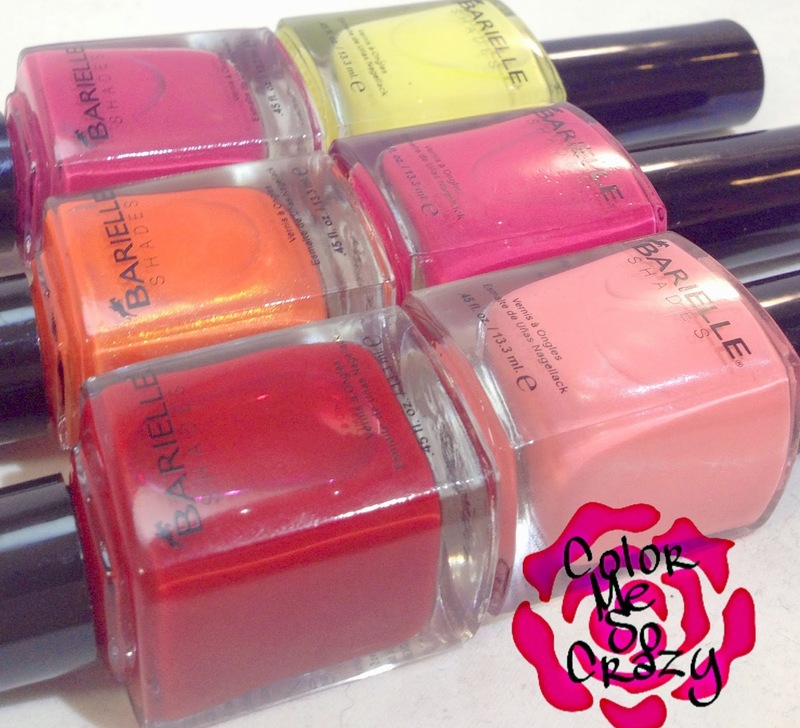 I am sooooo in love with these colors and I am so glad Barielle made this collection. 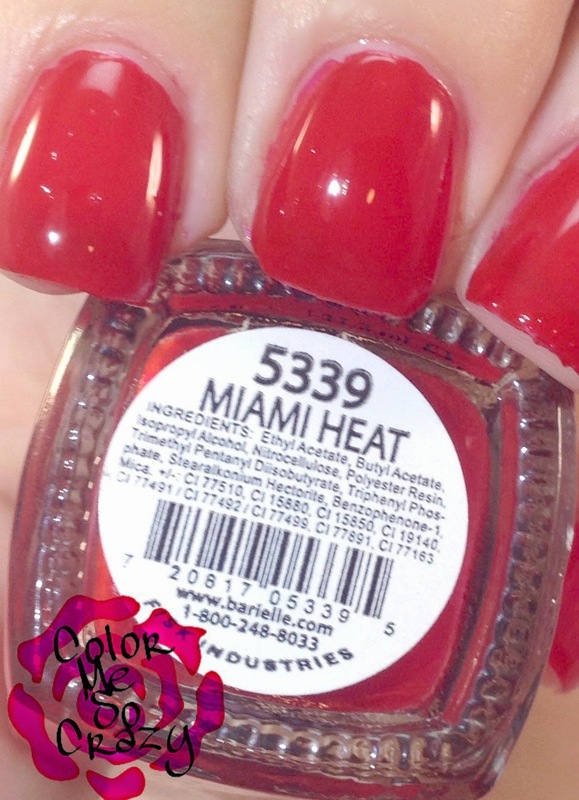 It is so Miami Heat! 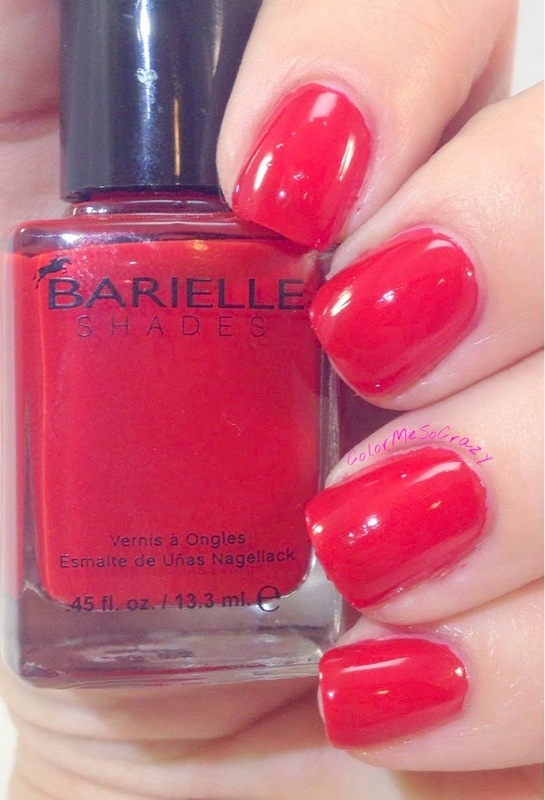 This is described as a "sheer jelly red". Yes! It is a jelly red. It is not so sheer as I had opacity in only 2 coats, but it is gorgeous. I loooove jellys and the depth it gives you on the nail. This is no exception. I am actually going to be featuring this color in my upcoming #RedCoatTuesday design. It is for the premiere of Pretty Little Liars. This is $8 for a full sized bottle. 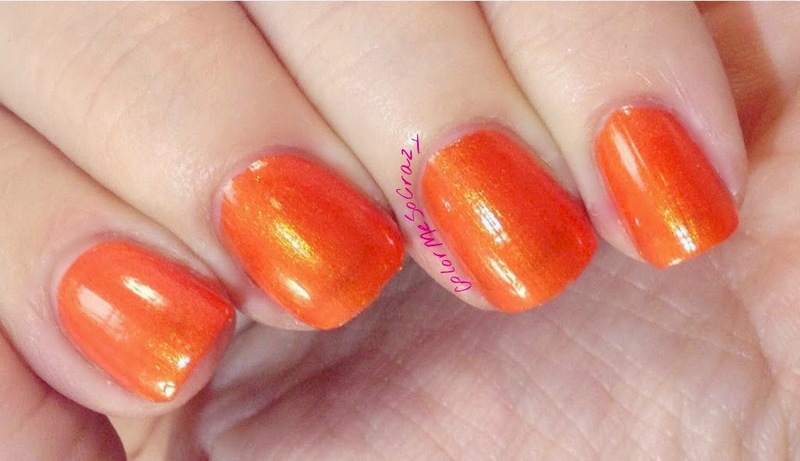 This is described as a shimmery orange. Ok... I must say I am not an orange girl, AT ALL. 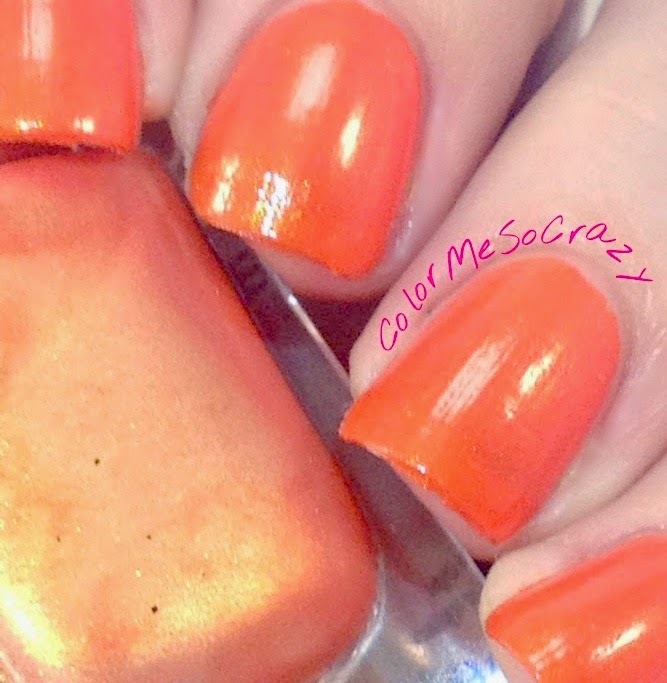 In fact, I own maybe 3 orange polishes. Compared to my almost 50 purples, that's not a lot. BUT... this polish is gorgeous. There are gold flakes in the polish that shimmer beautifully in sunlight. If it wasn't storm/rain central here I could have gotten some sunlight pictures, but that's ok because I will be wearing this color again. This is $8 for a full sized bottle. 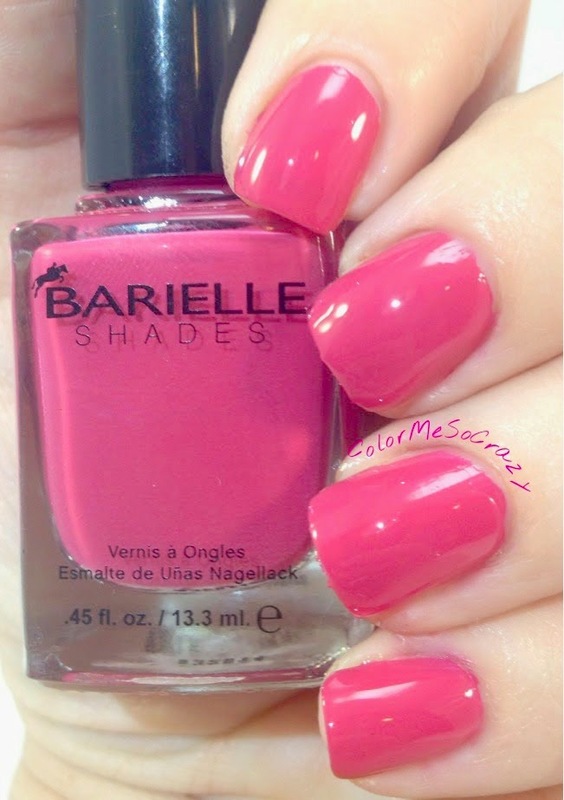 This is described as a creamy fuchsia color. 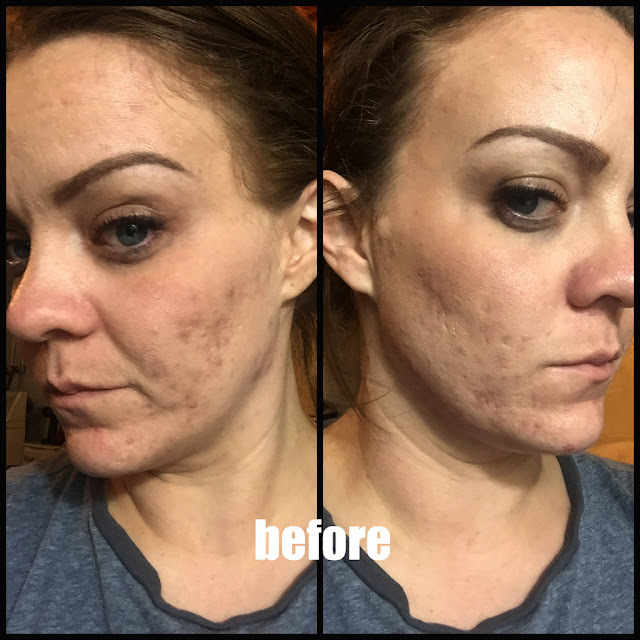 This was really nice to apply. It was fully opaque without streaks in 2 coats. I always recommend sealing in your color with a top coat especially if you are doing straight color and no art. This is $8 for a full sized bottle. This is a creamy mellow yellow. Since I am so pale, it looks a little electric but it's really not. I used three coats with this because it was being difficult when I was trying to even it out, but it looked great with 3 coats and a topcoat. I probably could have done 2 coats and a top coat to seal, but I stuck with 3. This is $8 for a full sized bottle. 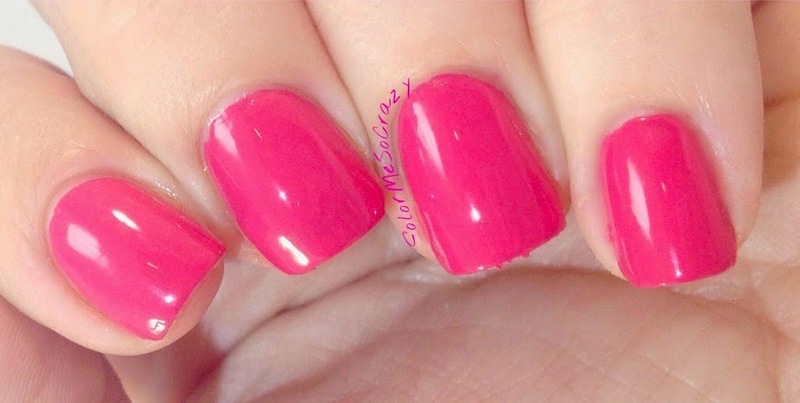 This is described as a "creamy hot pink". Hot pink is right!! Boy, this was a sunglass wearing, skin tanning pink. I love these colors because it makes my pasty white skin look tan! This polish also applied like a dream. For me, it was opaque in 2 coats and sealed beautifully with a topcoat. This is $8 for a full sized bottle. 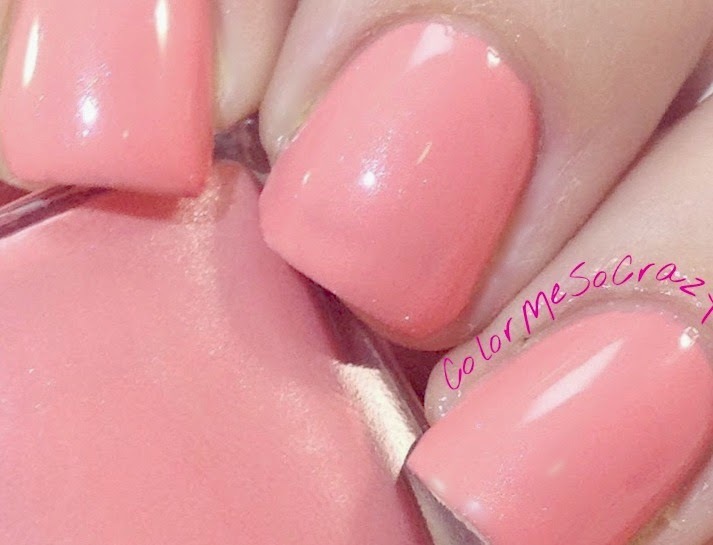 This is described as a "creamy pink with coral" color. This is a really pretty pink and has shimmer throughout. For me, this one also took about 3 coats to get opaque and even out. Once I added a very thin 3rd coat and the topcoat, it came together very nicely. This is $8 for a full sized bottle. Sooo, what do you think? 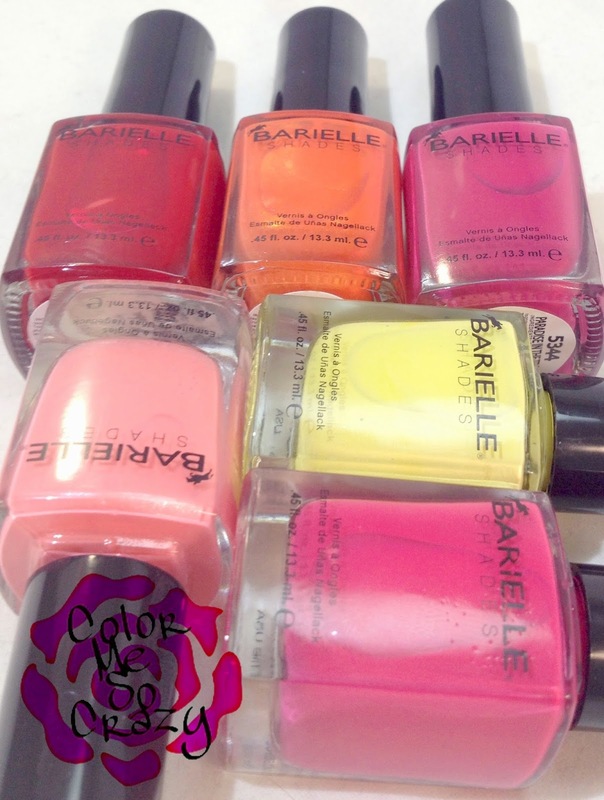 Which one(s) is your favorite color?? 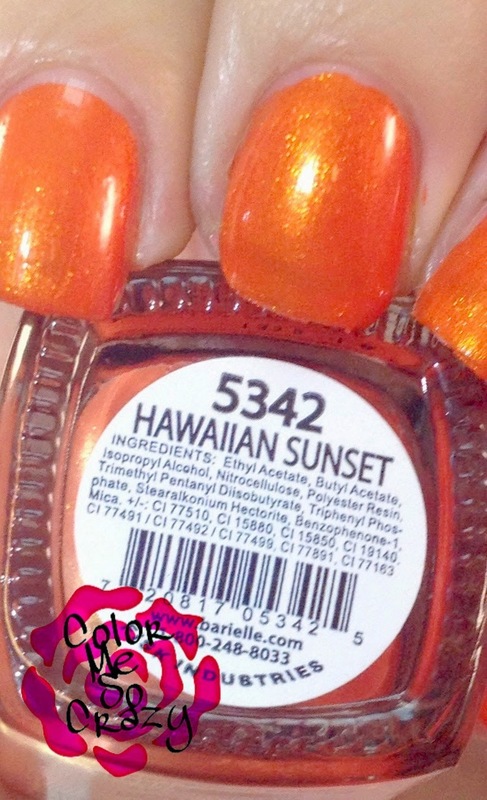 I think my favorite is Hawaiian Sunset.